As the temperature rises, we’re all inclined to keep things chill at home. But balancing how we use our air conditioners is going to impact how much the electric bill rises with the heat. 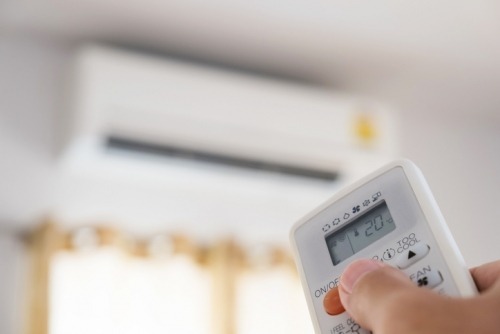 Here at Howard Air, we have some tips to help you decide the best way to use your air conditioner efficiently. Let It Run All Day? The reality is, running all day is going to cost you more because it’s going to constantly be cooling your home as the outside saps the cold from inside over time. That’s the second law of thermodynamics. But some people would say it’s more efficient to run your AC all day because it means your AC will never have to work too hard at any given point to cool your home to the set temperature. While that thinking may sound logical, it’s not the most effective way to run an air conditioner. Your air conditioner is going to run at its highest efficiency when it’s running full blast, because that’s how they’re designed. On top of that, by turning your thermostat up a few degrees while you’re at work, you’ll save money on your monthly electric bill. That doesn’t mean you need to worry about coming home to a sweltering house after a long day. You can set a temperature for the AC to kick on at to make sure your house never gets too hot while you’re away, or get a programmable thermostat that will allow you to set a timer for when you’re home or away. That way you never need to worry about accidentally leaving the AC running all day and ratcheting up the electric bill. 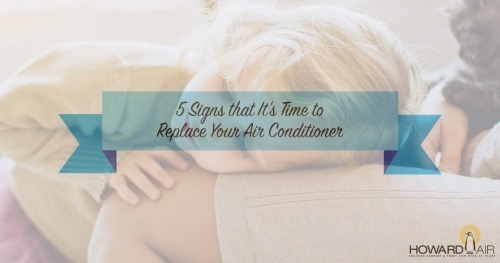 You can do other things to help your air conditioner run more efficiently as well. Make sure your doors and windows are closed so that the cold air isn’t constantly escaping and keeping your AC unit running. Drawing shades or blinds across windows helps as well. Another easy, but often overlooked method of helping your air conditioner is to regularly change the air filters. Not only does it aid in your AC’s efficiency, but it also keeps the air in your home cleaner. Check the filters regularly and change as needed. Making sure the ductwork is clear and your refrigerant levels are on par might cost a little bit, but will save you money on your electric bill in the long run. For more information about keeping your air conditioner running efficiently, contact us at Howard Air.